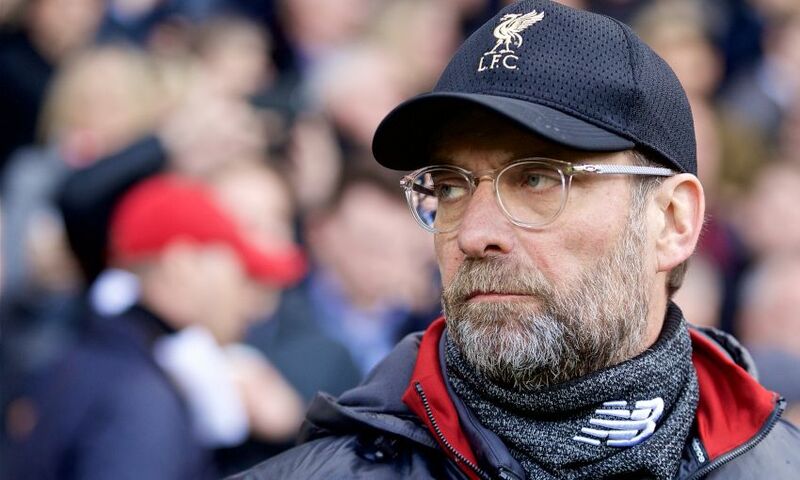 The Premier League title race is in the home straight and Jürgen Klopp has called on everyone connected with Liverpool to give the final sprint their all. Five matches remain for the Reds in their tussle with Manchester City – who they lead by two points having played a game more – for English football’s biggest prize. The next obstacle is Chelsea this Sunday as the Londoners, themselves locked in a fierce contest for a top-four finish, journey up to Anfield. Klopp likened the current situation to a 400m race, with Liverpool and City the last challengers standing and the time right for running with ‘all you have’. “If you take a 400m race, it’s like after 100m they are all together, after 200m there are a few together, at 300m two are together and in the last 100m you go with all you have,” said the Reds boss. “We are in that moment of the season. It’s about using all your body, using each fibre of your body. We want to control games in a very positive football way. We have to play like adults. “I am only interested in this Chelsea game. Not because it’s Chelsea but because it’s the one this weekend. The opponent is so strong and in a good moment. The clash with Chelsea marks Klopp’s 200th fixture as Liverpool manager. He reaches the landmark with his team not only in contention for a first-ever Premier League title but also holding a 2-0 lead over FC Porto in the Champions League quarter-finals. The Reds’ scintillating attacking exploits of last season have been balanced by defensive resilience this term – an evolution that was sensible and necessary, explained Klopp. “That was absolutely necessary,” he said. “If you come to a new team and give them five different ways you want them to play that would be a complete mess. “It makes sense that a manager works longer together with a team then you learn from the games last year, last month or whatever and that makes all the difference. “Usually you don’t have that time but I am blessed that I was given the time to work longer with this team. “It was clear before this season that we needed to improve. We reached the Champions League final so it was not a bad season. We were flying in moments and everyone was talking about our front three.